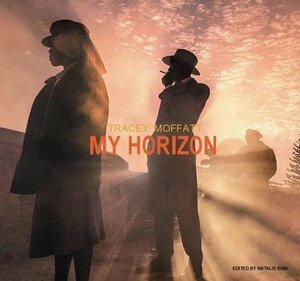 Tracey Moffatt is arguably Australia’s most successful artist. She has exhibited in galleries and museums around the world and is the recipient of the International Center of Photography’s 2007 Infinity Award for Art. My Horizon is the first book on this esteemed artist in ten years. With all new work, including large-scale photography and film, this publication situates Moffatt’s work in the international arena as an artist who consistently takes the tempo of our times. Moffatt has created highly stylized narratives and montage to explore a range of themes, including the complexities of interpersonal relationships, the curiousness of popular culture, and her own deeply felt childhood memories and fantasies. My Horizon will present a compendium of texts that reflect on the artist’s highly political and personal fictions, allowing readers to ponder what might be over the horizon. Contributing authors include Germano Celant, Adrian Martin, Moira Roth, Susan Bright, Djon Mundine, Alexis Wright, and Romaine Moreton.